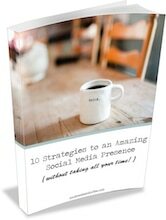 Ready to take your Social Media Marketing to a whole new level? Live video is hugely popular right now. Many social media platforms are moving toward people being able to post video live. Why this big movement toward live video? Think about the airbrushed, Pinterest-perfect life that is often portrayed online. Sure, it’s beautiful, but it has led people to cry out for “real.” People are extremely interested to know what other people, celebrities, and even businesses are “really” like. They want to see the unfiltered, behind-the-scenes and feel that they truly know you. So let’s dive in to one very specific way to help people to know you and your business – Facebook Live. If you are unfamiliar with Facebook Live, you are able to use your phone or your computer and record live video. This video is shown on your Facebook page immediately, with people watching you live. A really fun aspect of Facebook Live is that you can interact with the people who are watching. You can see their likes and comments in real-time. You can even respond to their comments and questions in real time, which adds to the personalization of the experience for your audience. Still not sure how you could use live video to market your business? Here are 6 ways your business can use Facebook Live. I mentioned earlier that people LOVE to know what actually goes on behind the scenes. What’s your process? What happens before customers see your finished product? You could do a Facebook Live video of receiving some interesting supplies and talk about where they are from, how you curate the best ingredients, and how you plan to use them. You could do a Facebook Live of any people or processes in your business that people would be interested to know about. Chances are that your business is on social media because you want to build relationships with your customers. Answering people’s questions is a GREAT way to let them know that they are heard. Also, when there are common questions, they are directly telling you what content they would like to see from your business! You could either answer some common questions on Facebook Live, or you could tell them to ask questions beforehand. For example, you could post earlier in the day that you will be going live at 5pm, and ask them what questions they would like you to answer. When you do answer them, you could even say the name of the person who asked, making the experience all the more personable and relatable. What could you teach your audience? It could be something that directly relates to your product, or something that is in line with your business. For some businesses it’s not as clear what exactly you might demonstrate. Think about what you are an expert in. If you are a chef, you could demonstrate peeling a mango, or making a great cocktail. If you teach music lessons, you could give a quick lesson. If you are in the fashion industry, you could demonstrate how to remove common stains in clothing. Showing people how to do something not only engages with them, but sets you and your business up as an expert in your area. This is an easy option for many businesses! Demonstrate your product and what you can do with it. If you sell a gadget, show people how to use it. If you sell clothing, put together several outfits with accessories for inspiration on how to wear your products. You can share anything that is new or interesting about your business with your audience. Do you have a new product coming out? Will there be a certain contest soon? Are you going to be at a big event? Facebook Live can be a very fun way to share important news with your customers. This is something that is becoming increasingly popular, in the right businesses. 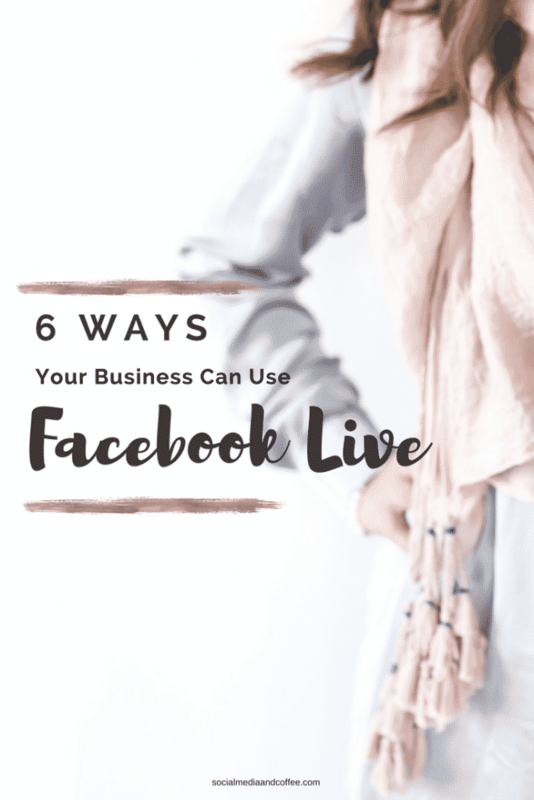 If you are a small business, especially one that has limited or exclusive supply of certain items, Facebook Live sales could be a great option. For example, if you have a clothing line where you only have one-of-a-kind pieces, you could do Facebook Live sales. Say, every week, you go live at the same time. You show your products with some description. People, in real time, can comment “sold” or something similar, with first comment getting the item. This is fun, allows people to shop from home, and it also creates a sense of urgency. If there’s only 1 of the pieces, they have to comment quickly or they will miss out. This could be a great option for any business that sells a physical product that is custom or unique. Bottom Line: We all know that video is KING on Facebook, and especially right now – people LOVE Facebook Live. You will get much more reach from your posts by using Live video regularly. If you haven’t tried Facebook Live yet, head over to this article for a brief How-To actually set up Facebook Live. And then head to this article for some suggestions to make your video awesome. I challenge you to give it a try! It’s not nearly as intimidating as you may think. And once you start to experience real-time interaction with your audience you’ll quickly see the value. 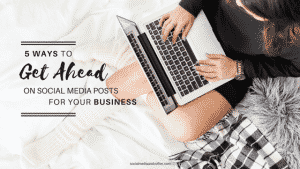 Want to remember this 6 Ways Your Business can use Facebook Live article? Save it to your favorite Pinterest board!